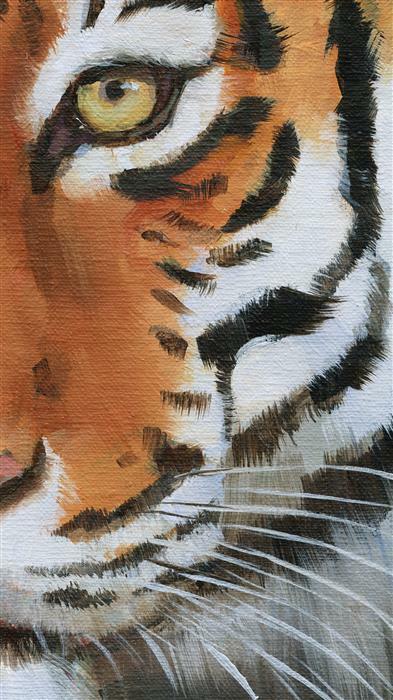 I'm falling in love with the beauty of tigers! 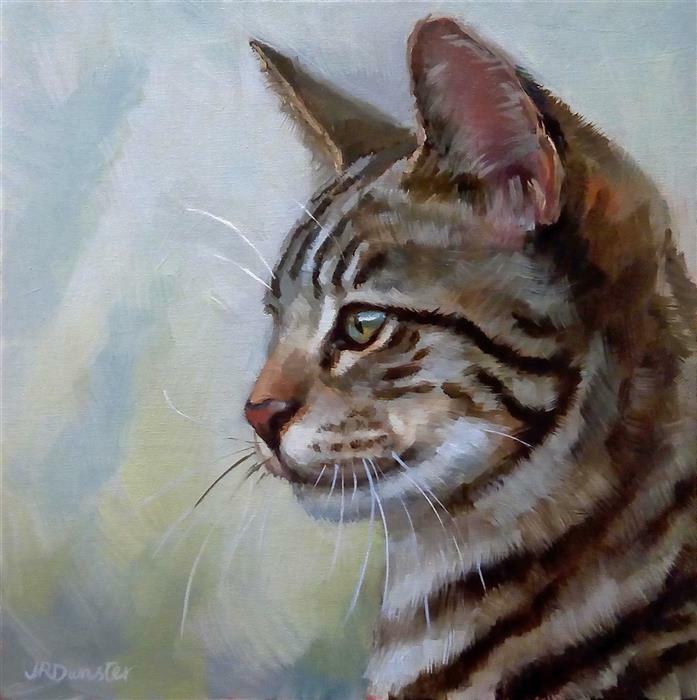 Their striking markings and long faces and those intense eyes. 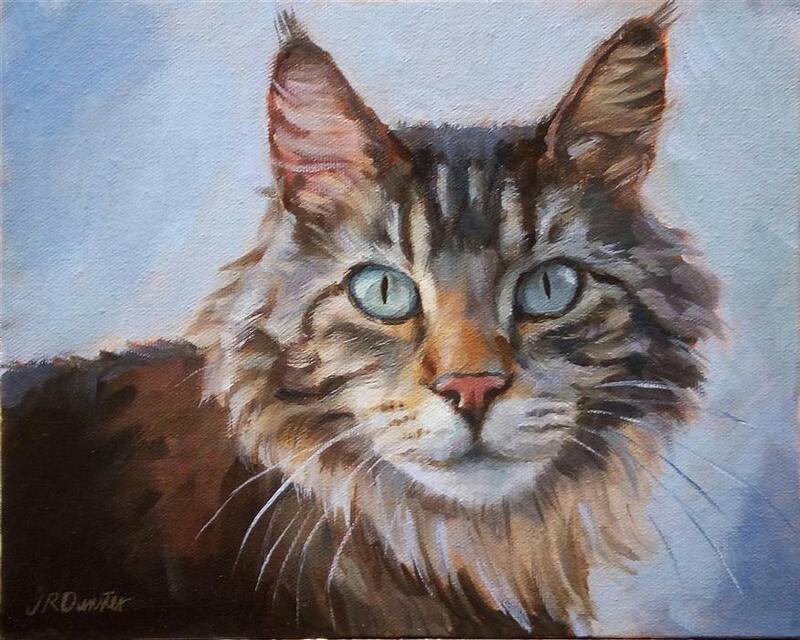 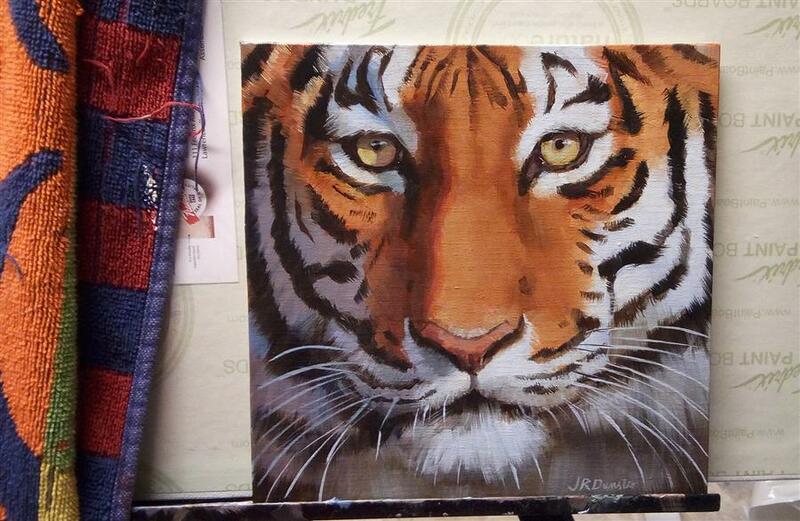 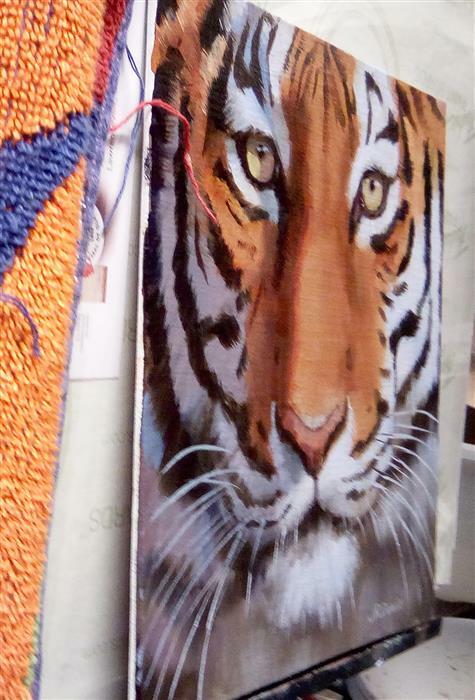 With this painting I took the "close-up cat head" theme I already have going (where I paint just the close-up features of a domestic cat) and applied it to a beautiful tiger. 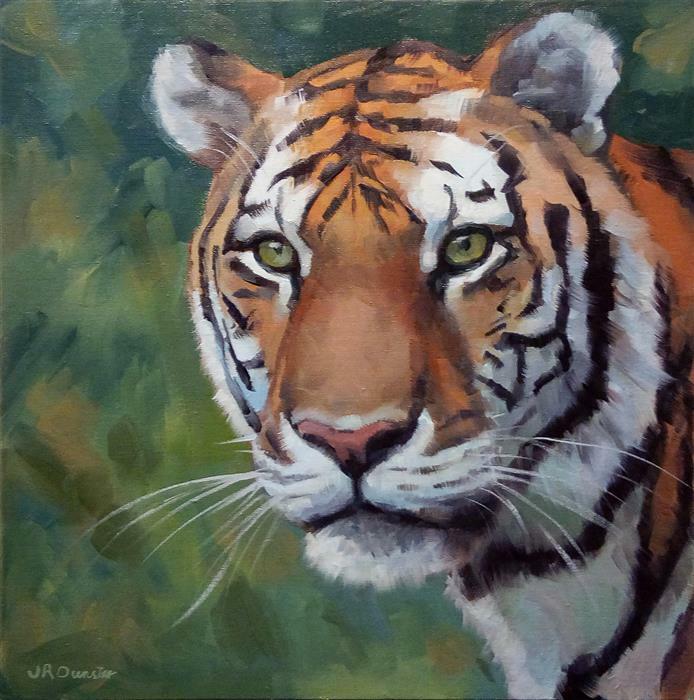 Such beautiful animals and lots of fun to paint!